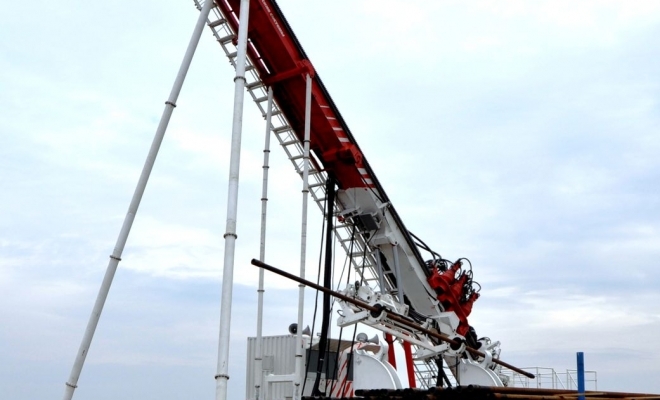 Directional drilling (or slant drilling) is the practice of drilling non-vertical wells. It can be broken down into four main groups: oilfield directional drilling, utility installation directional drilling (horizontal directional drilling), directional boring, and surface in seam (SIS), which horizontally intersects a vertical well target to extract coal bed methane. Drilling a "relief well" to relieve the pressure of a well producing without restraint (a "blowout"). In this scenario, another well could be drilled starting at a safe distance away from the blowout, but intersecting the troubled wellbore. Then, heavy fluid (kill fluid) is pumped into the relief wellbore to suppress the high pressure in the original wellbore causing the blowout. FORWARD GROUP also pay attention to the modern technologies. That’s why we designed a new machine for slanted drilling. FORWARD GROUP represent a new product FORWARD RX250×900V for drilling inclined wells at an angle of 12˚-60˚.